The Ohio State University Department of Spanish and Portuguese (SPPO) is dedicated to the study of Spanish and Portuguese languages, literatures and cultures—from introductory language skills courses to specialized graduate seminars. SPPO develops student skills in communication across ethnic, cultural, ideological, and national boundaries, and helps students acquire a deeper understanding of the relation between language and culture, language and thought. In a world that is increasingly interdependent, we can no longer afford to remain monolingual. Success depends in large measure on the ability of an individual to function as a member of a global village whose members speak a variety of languages. A working group that strives to enhance understanding of cultural texts and dynamics that have resulted from the centuries-long networks of exchange among and beyond Portuguese-speaking regions in Europe, Africa, Asia, and the Americas. 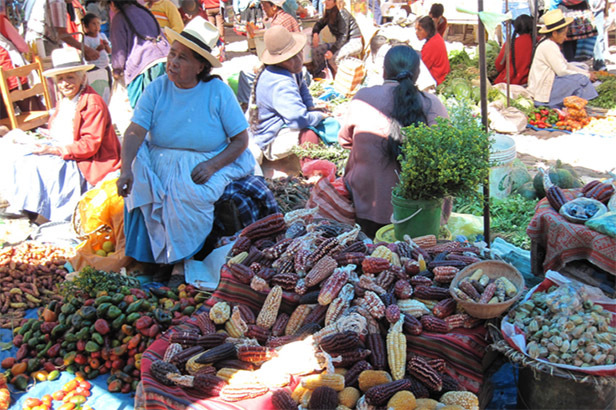 Is the language of the ancient Incas and of special interest to undergraduate and graduate students who want to learn about Quechua language, culture, and society in the Andes, who are pursuing the inter-disciplinary minor in Andean and Amazonian Studies. Quechua is taught in the department by a native speaker. Ohio State is a great place to begin to develop an expertise in Portuguese and Luso-Brazilian culture. Ohio is the sister state of Paraná, Brazil, and facilitates international cultural and business contacts. Portuguese is among the ten most widely spoken languages in the world and is the language of 25 percent of the population of the Southern Hemisphere. Offers one of the most distinguished and comprehensive MA and PhD programs in Hispanic linguistics in the nation. Students in this program are international, national, and local, including graduates of the department’s undergraduate linguistics concentration. The department has a strong track record of placing students in the growing field of Hispanic Linguistics. Explores the deep, historical, and cultural relationships among the historical communities of Iberia (those of Castile, Portugal, Galicia, Cataluña, Valencia, Andalucía, País Vasco); and the global interconnections between Spain/Portugal and the “rest of the world,” not just in the modern period but in the medieval and early modern periods. Offers one of the most distinguished and comprehensive MA and PhD programs on Latin American cultural studies in the nation. The program promotes an understanding of the ways in which Latin/a American cultural production and practices –understood in a broad sense and including literature performance, film, music— interface with larger social, economic, political, and historical processes.